I am reading The Holy or the Broken, a book by Alan Light that is entirely about you-know-which song. It reports that the first appearance on TV was in Scrubs in 2002. There were five more visits in 2003 and seven in the year after. Each performance pays in the $50,000 range, with half going to the author (and his publisher) and half to the performer (and the record company). Not bad. 2. Blonde on Blonde. Going even further back in my blogging past, in 2008 I commented on my affection for the British TV show New Tricks. I noted that there seemed to be a rule that all shows about cops working on cold cases (New Tricks, Cold Squad, Cold Case) had to be led by a blonde woman. 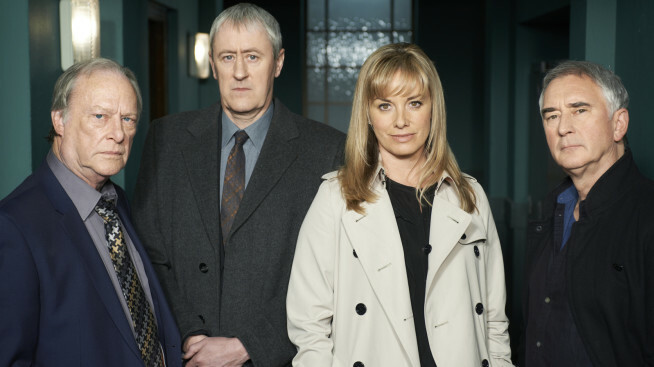 I recently discovered new episodes of New Tricks and all but one of the characters had been replaced, including the leader. And yes, the new one is a blonde woman. 3. Getcha pretty pictures right here. Some of us here at SleuthSayers HQ find ourselves from time to time looking for illustrations that we can use without fearing the Long Arm of the Copyright. 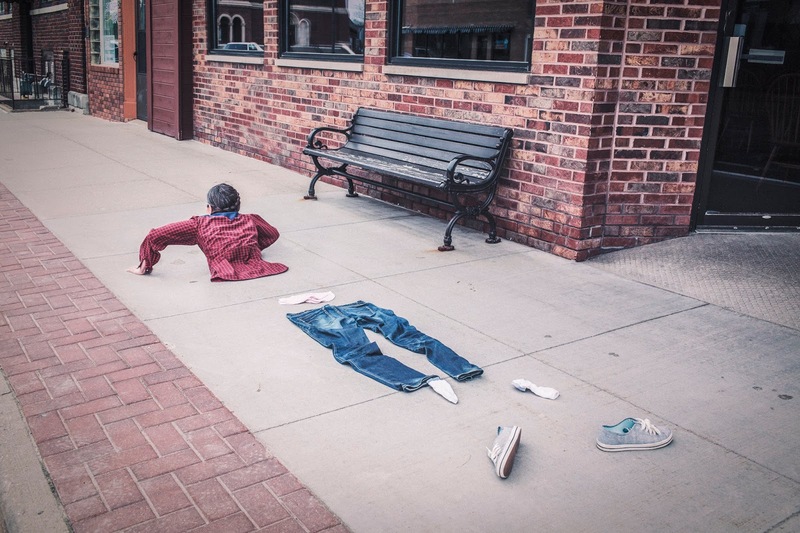 The website Guns, Gams, and Gumshoes has a very helpful list of four websites with images free for the using. 4. Steven on Sherlock. 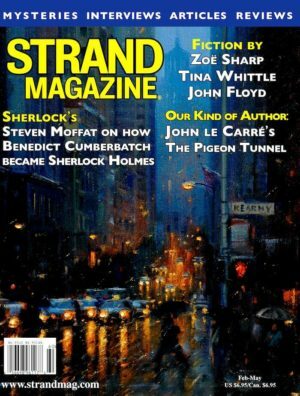 The latest issue of Strand Magazine (February-May 2017) has a very interesting interview with Steven Moffat, co-producer and co-creator of Sherlock. Even if you don't watch his show, Moffat's insights into the great original are interesting. To those who complain about his making the characters young and modern he replies that when Doyle invented Holmes and Watson they were young and used the newest technology available. They aged into period pieces as Doyle wrote about them for forty years. He also points out that people don't complain about the James Bond movies yanking the character out of his time period, although Fleming's character was a World War II vet. Definitely worth a read. 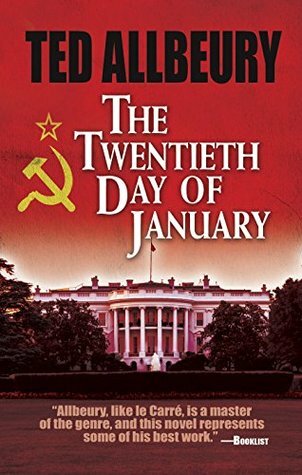 "Seemingly out of nowhere, wealthy businessman Logan Powell has become President-elect. But veteran intelligence agent James MacKay uncovers shocking evidence that suggest something might be terribly wrong with the election: is Powell actually a puppet of the Soviet Union?" Timing is the key to success. I hope Ted Allbeury is still around to enjoy his novel's belated moment! I see that you're up to Season 11. 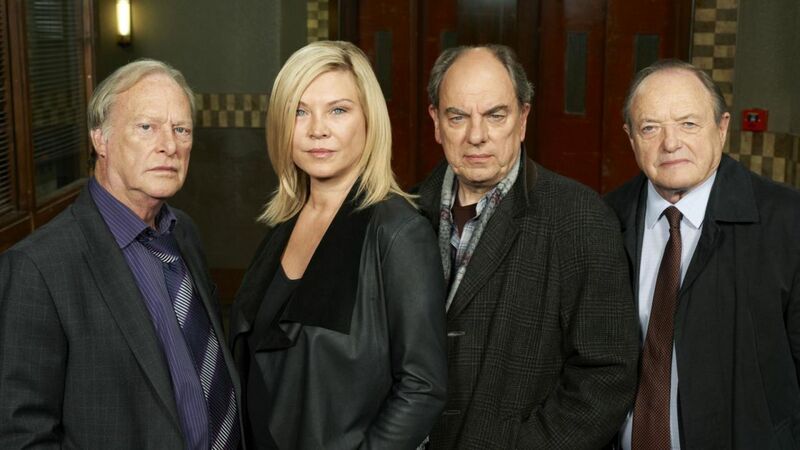 New Tricks has one more season to go - Season 12. BBC decided to wrap up the show at this point, so there too. Thanks for these five intriguing facts, Rob. The free image sites look helpful. And the description of the Ted Allbeury book is positively spooky. I think it was also a rule in the 70s, if there was going to be a female cop, she had to be blonde - Angie Dickenson in "Police Woman". Of course, back then, she always went undercover and always had to be rescued by her male colleagues. Do you know if those free photo sites are still running?